Provide comfort for the family of Arthur Golding with a meaningful gesture of sympathy. WEST BLOOMFIELD - December 17, 2018 at age 81. He is survived by his loving wife of 59 years, Joan L. (Bobzin) Golding; children, Rodney Golding, Gregory (Beth) Golding, Amber Golding-White; 13 grandchildren; 7 great grandchildren; several nieces and nephews. He was predeceased by his parents, Ernest and Martha Golding; sisters, Mary, Iva, Edith. 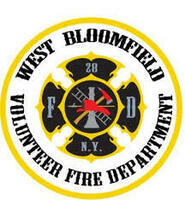 Art was a former member of the Carpenters Local Union #276 and a member of the West Bloomfield Fire Dept. since 1964. Family and friends are invited to call Saturday 5-7 PM at the O’Connell-Dougherty Funeral Home, 2041 Lake Ave., Lima. Private interment, West Bloomfield Cemetery. In lieu of flowers, memorials may be made to Ontario-Yates Hospice, 756 Pre Emption Road, Geneva, NY 14456. We encourage you to share your most beloved memories of Arthur here, so that the family and other loved ones can always see it. You can upload cherished photographs, or share your favorite stories, and can even comment on those shared by others.